Can You Get Frostbite From an Ice Pack? It's possible to get frostbite when using an ice pack if you don't do it properly. Ask any coach or PE teacher how to treat a twisted ankle and he or she is likely to say RICE—rest, ice, compression, and elevation. It's a tried and true method that works pretty well, as long as you follow one very important rule for icing the injury: Do not put ice directly on the skin. Water freezes at 32 degrees, but the ice that comes out of the freezer is likely to be much colder than that. Putting ice or any kind of chemical cold pack—homemade or otherwise—directly on the skin can lead to frostbite rather quickly. 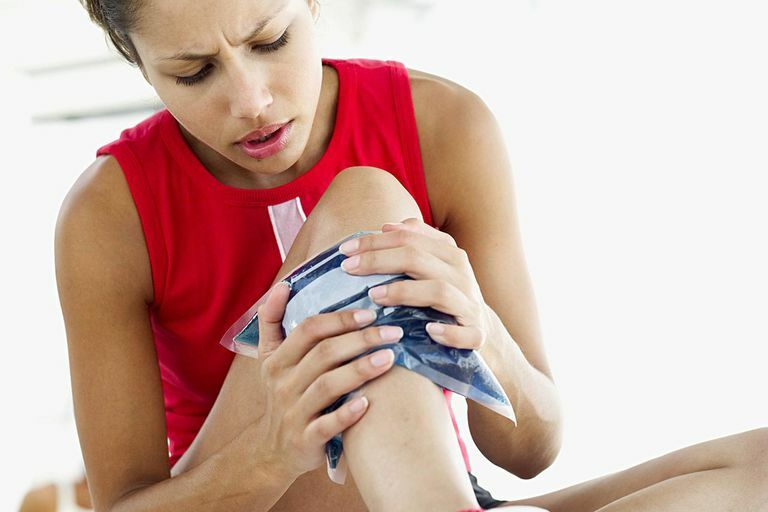 Some injuries are caused by common misperceptions about which ice packs are "safer" than others. For example, people will often assume that a bag of frozen peas is somehow less problematic than placing ice cubes directly on the skin. In truth, both are equal in their potential to cause frostbite. Frostbite occurs in stages, starting first with frostnip (a tingling and prickly sensation of the skin). This is then followed by superficial frostbite in which increasing pain and changes in skin color indicate that the outer layer of skin (epidermis) is being affected. Severe frostbite is the third stage in which deeper tissues are being affected. This can lead to the progressive stiffening of joints and muscles and the development of large blisters when the skin is eventually re-warmed. You can avoid frostbite by remembering the acronym CBAN. CBAN stands for Cold, Burn, Ache, and Numb, each of which reflects a characteristic stage of frostbite. Cold is the first sensation which lasts for around three to five minutes upon application of an ice pack. Burning sensations indicate that nerves in the epidermal layer are being affected. Aching occurs when the superficial frostbite causes injury to epidermal cells, during which reddened skin will start to turn pale or white. Numbness is a sign that the frostbite has extended into deeper tissues, leading to the loss of sensation and a bluish-white skin tone. The time between coldness and numbness can be anywhere from 10 to 20 minutes. To this end, the ice pack should be removed well before numbness—and even before aching—begins. If numbing occurs, remove the ice pack and stop the treatment immediately. Continuing may cause a serious skin injury. Frostbite treatment is nearly identical to burn treatment. Because of this, many people will colloquially refer to frostbite as an "ice burn." Frostbite from ice packs can be avoided by following a couple of simple rules. Don't ever put ice or ice packs directly on the skin. There has to be a layer of something substantial between the ice and the body surface. The thin plastic of a plastic bag is not enough to make a difference. Put a towel or two—or some other material of about the same thickness—between the ice pack and the skin. Never leave an ice pack on the injury for more than 20 minutes. Always alternate between ice and no ice. A good rule of thumb is 20 minutes on followed by 20 minutes off. The object of an ice pack is to cool the muscle without damaging the skin. When Is It a Good Time for You to Use an Expired EpiPen?